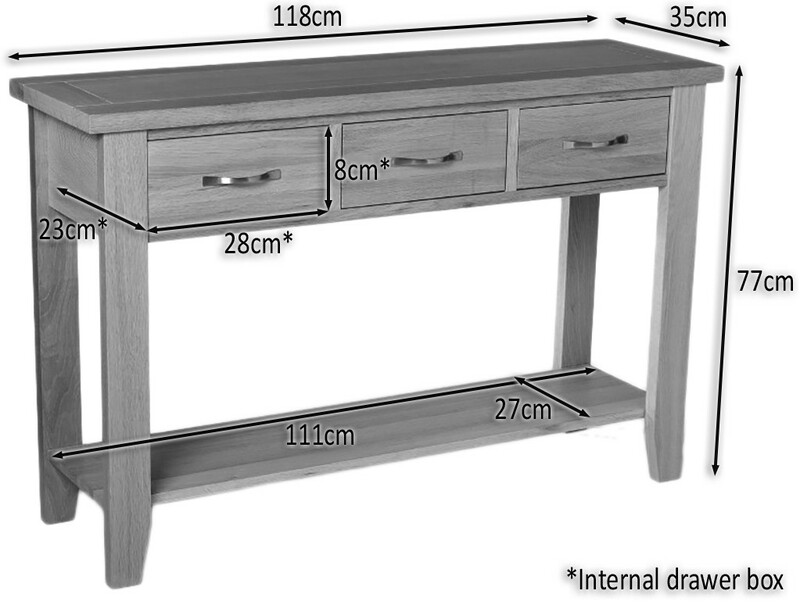 Camberley Oak Small Console Table with 2 Drawers. 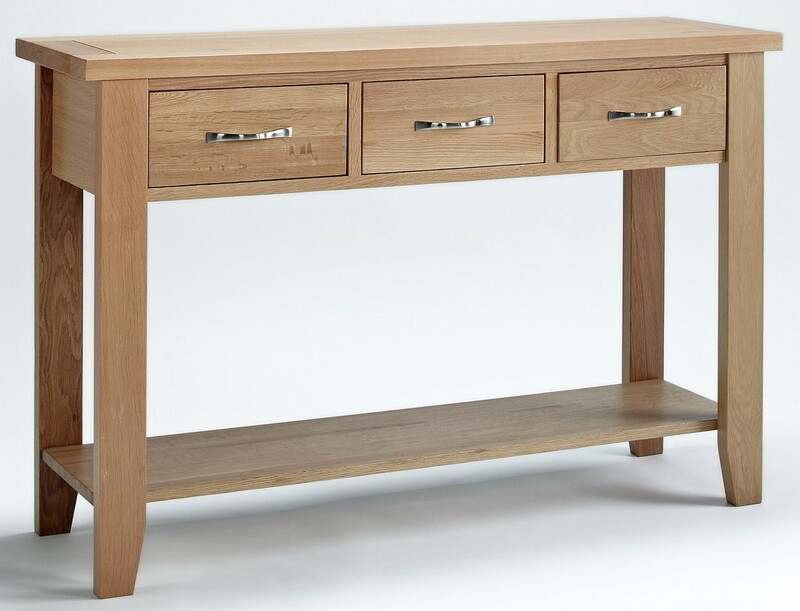 Handy storage, contemporary style and space-saving are combined in this solid oak console from the Camberley Oak Collection. With three generous drawers with dovetail joints ideal for storing anything from paperwork to beauty accessories, this piece is a perfect fit in any room and can be used for almost any purpose. For hallways, dining rooms and living rooms, this piece offers a contemporary, stylish space-saver, with a lower shelf to store small electronics, such as printers or fax machines, and an upper surface which can be used to display decorative items, hold electronics and telephones, or display food and drinks. This piece offers versatility and will be a useful staple in your home for years to come. The solid oak piece is finished with a coating of natural lacquer which serves to enhance the wood’s natural colouring and patterns with a light gloss, whilst increasing the durability of the wood and protecting against light knocks, scratches and stains. The natural tones of the light oak complement any light or neutral colour scheme perfectly. Protected from knocks, scratches and spills with a coating of natural lacquer.